Sometimes it's hard to keep track of the household. With a cleaning plan and a bit of structure, everything stays neat and clean. A perfectly maintained household is no accident, but it's not rocket science either. With a cleaning plan you do not lose track and make sure that everything stays clean. Not everything has to be cleaned weekly, but regularly. A tidy apartment is the first step in ensuring a perfect home. It's worth getting used to, never leaving the house without making the bed and tidying up your clothes. It's just more fun to get home when everything's tidied up. 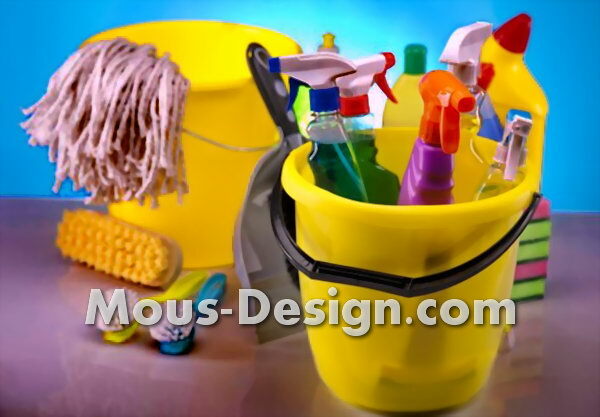 Regularly cleaning work surfaces, bathrooms, and floors. Every two days, the kitchen worktops and fixtures that treat them with lime and a vinegar stand out fine microfiber cloth to be polished. Vacuuming is also a must every two days to remove crumbs and dirt. Once a week, the bathroom undergoes a thorough cleaning, and hard floors such as tiles, wooden floorboards and other floors are wiped wet once a week. So bedclothes have no chance, the sheets should be changed once a week. The bedroom is ventilated daily. In times when the laundry is getting clean even at low temperatures, it makes sense to wash the washing machine every two weeks at least 60 degrees, better 90 degrees so that possible germs and bacteria that wash the laundry have no chance. Even the refrigerator needs care. Once a month he should be wiped out. Stubborn stains are removed with alcoholic cleaners.
. Trash cans are cleaned from the inside with a mild disinfectant. The shower curtain and the sofa cushions must be washed at least every three months. Dust on the upper shelves and the extractor hood should be announced every six months. Anyone who brings a bit of structure into their cleaning plan will manage a clean and well-kept household without much effort.